Though the power of internet gives an analyst the ability to acquire a lot of inforamtion,it cannot substiture direct interaction with companies and clients.Personal commodunitaction with management helps them to get a better insight into the vision of the company and its strategy to acuire the desired goals. influence the market prices positively .Also sometimes, managements speak naegative about their business so as to discourage people from buying their stocks.therefore, it is always advisable for analyst to cross verifty the calims of the management prior to their recommendations. While the management is generally open to interview with Research analysts,they must bear in mind that these opportunities do not come very frequently and therefore must be made full use of whenever they come.Before going to meet a company's management , they must thoroughly learn about their products,industry and competitors' steps. Analysts must be familiar with the financial information of the company,also read previous year's annual reports to understand the direction of the company and whether the company has been able to achieve the goals it had intended to. 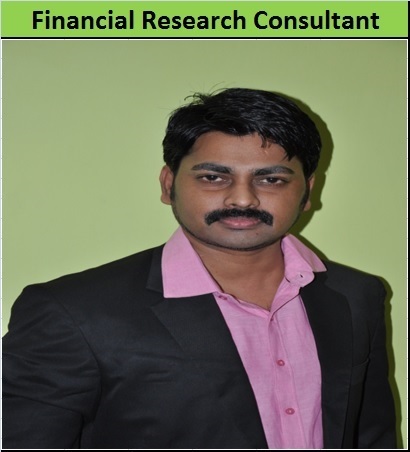 During the Research,analyst must have an unbaised opinion and should always hold their independence. Their analysis should be based on factual information and not led by personal inclinations.Also, they must make it clear with the management to not reveal any information which is not available in the public domain. Analyst may use their network to acquire more contacts relevent to the research,who would be able to provide meaningful insights in to the company's performance and plans.The Person who is responsible for the important activities and understands the heartbeat of the company would be the most relevant contact and this person may not necessarily be from top management.Competitors and other stakeholders of the business such as suppliers,distributors,retailers and customers can also provide meaning ful inputs to analysts in the research process. Once Analyst are done with research and research report is prepared,they need to communicate their findings to the clients There are certain guidelines that an analyst could follow in their communication with clients. * They must be realistic in suggesting companies to their clients.Suggestions should be based on facts and figures and not contain an optimistic/Pessimistic/ biased view on the subject company. * Communication,done through written research reports,should be simple ,clear aand concise. * If there is any conflict of interest(e.g. RA holds shares of the subject company),such information should be disclosed beforehand. * Assumptions,if any must be clearly stated in the research reports. * Abbreviations/Jargons should either be avoided or explained clearly in simple words. The role of RAs is to collect data/information from different reliable sources,interpret the data/information and convert it into recommendations that their clients can use .while doing so , it is expected that RAs would perform their role with utmost sincerity,honesty and ethics without any bias,followming all the rules and regulations as specified by SEBI both in words and spirit. Fore this , it is also recommended to make use of technology like recoding devices while interviewing manangement and communicating with clients ,only after taking their due consent for recording.